A City by the Bay – A girl's journey and narrative culture by culture, coast by coast. A girl's journey and narrative culture by culture, coast by coast. With an influx of international students attending Japanese universities, competition for English-based internships has increased. 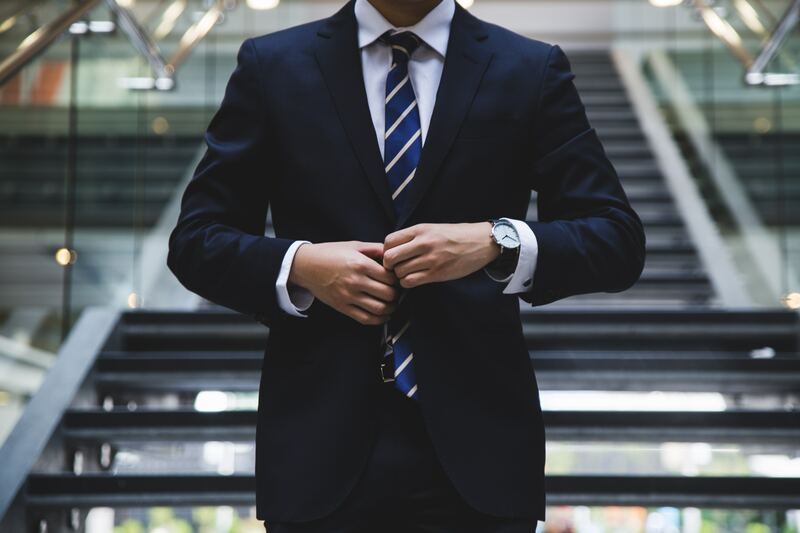 While it may be challenging to differentiate between strong candidates, an outstanding resume will lead to a better application. 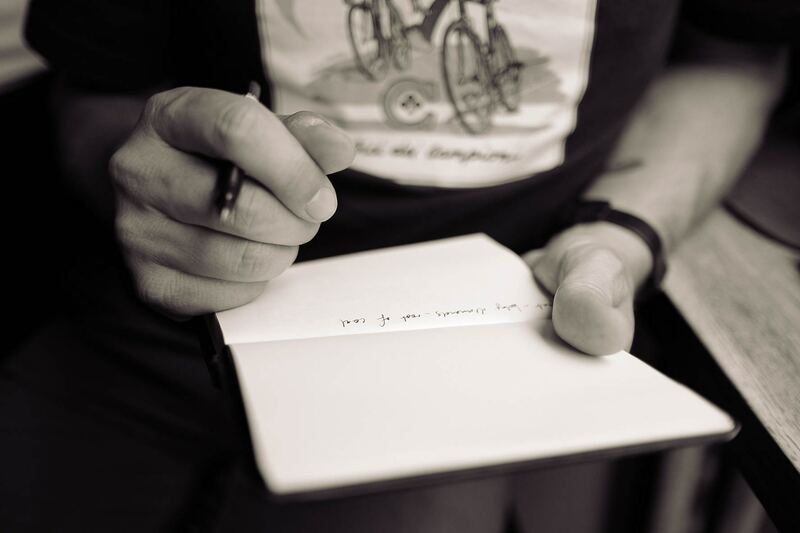 A resume is the first step in career building. Career-related skills such as resume writing is outside of academia, so many students find it hard to approach. However, there are many online resources that offer tips and tricks to crafting the perfect resume. One of the approaches covered in this article is the Harvard University template. A resume should be only one page, because a resume’s purpose should be to present information in a clear and concise way, with enough details to demonstrate the candidate’s experience and skills. From a recruiter or hiring manager’s point of view, a resume should be easy to skim and orderly because they go through tens or even hundreds of resumes per day. The main difference between a resume and a CV is length; a CV includes a comprehensive list of all of the candidate’s skills and experience. A resume only details the key achievements; it is often tailored for different positions if the person has a variety of skills and experience. A resume should have consistent and clear text, such as Times New Roman or other professional fonts. It should not be too colorful or artistically abstract which may detract from the important information that is listed. The text size should also be uniform and easy to read (nothing less than 11 pt font). Finally, the information should be accurate. It is morally corrupt to lie about your experiences as well as embarrassing if others find out that the information doesn’t accurately represent you. The top should include your legal name, along with contact information such as school email and phone number. The first header should be education, starting in reverse chronological order. On the right-hand side should be the location as well as duration. If the position is still ongoing, then it should be listed from its start date to “Current.” It is also helpful to include major, GPA, test scores, certifications, clubs/academic organizations, and relevant courses if needed. The coursework or certifications provided should be relevant to the job position you are applying for. Following education is a list of experiences. This may include job experiences, such as previous internship positions. If you do not have any previous internship experience, it is also helpful to include other part-time jobs or any other job-related experience. Beneath each title should be a short description of what the job entailed. The sentence should begin with an action verb, such as “achieved,” “analyzed,” or “conducted.” It is helpful to use specific keywords that pertain to the job such as “analyzed consumer surveys,” for a marketing analysis internship. Furthermore, it is important to use quantitative information, such as detailing a number of hours worked using certain software or proficiency in a certain field. This also includes amounts of money (in terms of fundraising), number of hours, team size, or number of participants. The third section is a list of leadership experiences. This may also be altered to include volunteer experience or any other experiences related to the job position. This section is for relevant clubs, organizations, or positions that showcase your leadership or other skills. Similarly, a description should be included to explain what the position was. To reiterate again, it is crucial to provide concise information by using action verbs and relevant figures to help the recruiter or hiring manager visualize your position. The last section is for skills and additional interests. For technical positions, this may be an entire section devoted to technical skills, such as programming languages or software used. This section may also include language proficiency and hobbies. Depending on the job position, this section may be altered to provide different information that may appeal to the person reviewing your application. Crafting a resume may be challenging but it is a step in the right direction to finding an internship. Many academic institutions offer resume workshops or resume reviews for students. Take advantage of these opportunities to create a stronger resume that may lead to an internship. Good luck! As a university student in Japan, internships are a great way to understand the job market in Japan as well as to gain work experience. The internship process and information explained below refer to internships that range in duration from one month to six months and above. Some company visits may be referred to as “internships,” however, they are not considered internships because they last less than a week. There is a myriad of internships that provide students with a variety of opportunities to learn different skills and leverage their skills outside of university academia. Internships are offered to international students regardless of nationality. Although a large portion of the internships requires business level Japanese, there are many which are held in English. Multiple portals offer a variety of internships with different qualifications at firms that range from startup to conglomerate. Many universities offer internship programs that are provided by partnerships between the university and the firm. These internships can be accessed through the online system, or through the school’s career center. Some of the internships may require Japanese fluency, and may have screening processes such as document screening and interviews. They may also last from at least two weeks to several months, depending on the firm. Many of them have certain recruiting periods and offer the internship program during spring or summer breaks. Many universities offer a wide variety of internships so please consult your advisor or the school career center for additional opportunities. In addition, many university facebook groups or student business groups may have internship listings or connections to firms that are looking for interns. However, many firms have internship programs for students that can be accessed through multiple online portals or the company’s website. 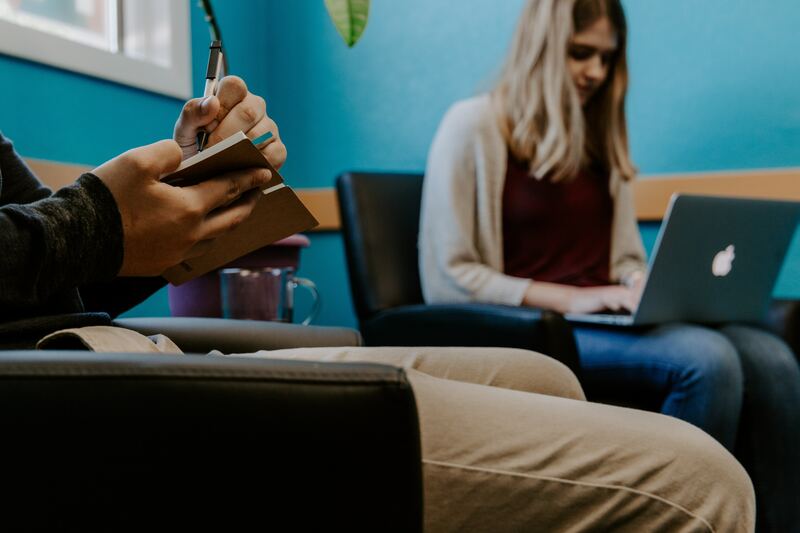 Often times, companies that are not actively recruiting online may offer opportunities through referrals from previous interns or through word-of-mouth connections. Some firms offer summer programs that may result in an offer at the end of the program. Others may recruit throughout the year and pay their interns accordingly. Some websites such as Linkedin, Glassdoor, or Wantedly may have listings that include internships. Additionally, several websites such as Internship in Japan or EU-Japan provide listings of websites that include internship programs. Some firms may even scout their interns through Linkedin, Wantedly, or other job-searching websites. There is a wide variety of work available for students from different fields. Depending on the firm, there are internships based on marketing, consulting, recruiting, programming, content creation, research, design, translation, sales, and others. 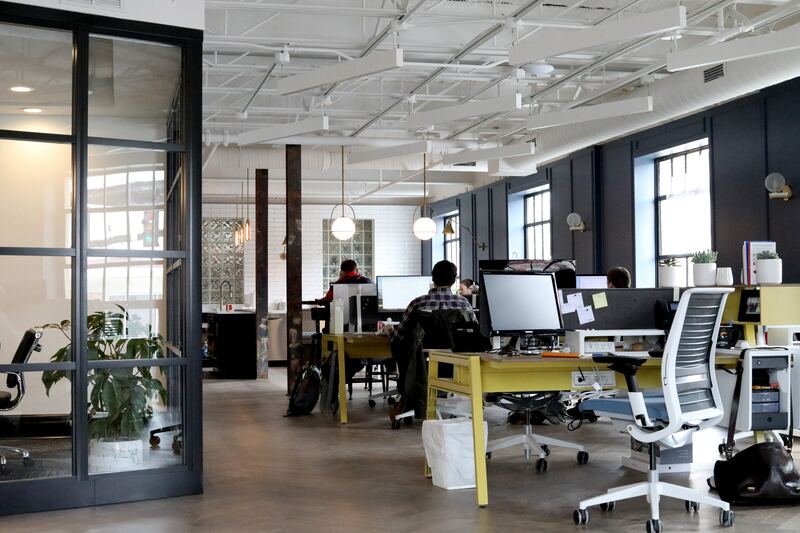 Typically, large firms with an established intern program may have a certain fixed role and time for interns, while smaller firms may offer a wide range of opportunities for interns to try. An internship should not constitute work that doesn’t provide learning opportunities for students; students should be able to receive benefits from internships such as meaningful work experience or opportunity to pursue personal interests. Most firms pay their interns around 1000 yen per hour. Depending on the work and firm, interns may be paid higher or lower than the average. Some firms, such as NPOs or NGOs, do not pay their interns at all. For example, the United Nations does not pay their interns in exchange for both the UN name and connections that can be leveraged throughout the internship. However, it should not be common that a firm does not pay their interns. While interns are not as fully experienced as full-time employees, the work that interns do is still vital to the company and therefore should rightfully earn a wage. The first time someone asked me that question, I was stunned. The first time someone asked me that question, I struggled to answer in a composed manner. Why couldn’t my English be good? Why was I being asked such a question? Why was I so angry? “I was born in America. I grew up in California,” I replied, after a moment of shocked silence. “Oh, I’m from San Diego,” came the reply. As we lapsed into conversation, I couldn’t forget the wave, the feeling of anger that washed over me. It felt foreign; I’ve never been questioned about my English ability before. Perhaps I had been asked in Chinese before, asking why I could speak English by a curious shopkeeper or street seller; but never directly as a conversation starter in English. Was it because the asker was a white American? Was it because of his tone? I felt offended. On the train ride back, I mulled over the question. Why? But then I realized that this question would have been unacceptable if asked in America– to an Asian American who has spoken English all their life suddenly to be asked about the validity of their American-ness, about their identity as an Asian-American. The question is akin to the “Where are you from?” question often asked to POC, as if America can’t be a valid answer because the color of their skin is not white. In this sense, this question is asking if one can’t be a native English speaker because their appearance is not of Caucasian descent. The second time someone asked me this question, the shock was no longer there. “Why don’t you have a Taiwanese accent?” the person asked me. “I grew up in America,” I explained. I had grown accustomed to the question; I had realized that the circumstances abroad and back in America are different; many people haven’t met that many Asian-Americans or other third-culture individuals. I was simply not used to the question; since asking this same question to an Asian-American or to an Asian who has never lived in an English-speaking country would yield very different results. This question underlies the assumption that the askee is a foreigner– something that would be considered racist towards Asians who have always lived and grown up in an English environment. That’s why this question is acceptable when asked to Asians who have not grown up in an English environment; the asker is wondering how they acquired their English ability. Once I came to understand how different people would react to this question, I began to understand. The assumption that I couldn’t possibly be American, the assumption that I couldn’t possibly be a native English speaker was what angered me. This assumption would be unacceptable in America, due to the ethnically and culturally diversified demographic. However, this is not the case in Japan, or in any homogeneous society. It is natural to assume that people are not third-culture individuals, or that people’s nationalities and upbringing match their ethnic and cultural background. It is natural to assume that I’m not American. So if someone asks me this question, I’ll just take the compliment and say that their English is good too. In June 2018, Japan won a shocking victory against Columbia by 2-1. Crowds of excited fans filled the bustling streets of Shibuya, partying late into the night. The next morning, news broke: sexual harassment complaints filed to the police jumped by a fold after one night. According to a Yahoo Japan article that was published the next day, during the commotion in the Shibuya Crossing area after the victory, many women were groped and harassed, resulting in a large number of sexual harassment claims filed to the police and comments on Twitter and other social media portals. One user on Twitter complained that she was groped around five times; another said the touches were not accidental, but with intention. The article also stated that it was against the law to touch people or their belongings in public places, citing Tokyo’s Prevention Ordinance Article 5, paragraph 1, number 1. It also stated that such acts are considered a crime. The blatant victim blaming in social media comments illustrated Japan’s failure to reduce the gender gap and showed that the lack of direct action against aggressors inhibits Japan from progressing to a more equal society. While there are laws against sexual harassment, it is seldom enforced and often overlooked in both work and school environments. The axiom, “Boys will be boys” and “It can’t be helped.” is often used to dismiss patriarchal and predatory behavior. More importantly, many cases of harassment are often not reported due to the fear and shame of victim-blaming and the failure of the government or police force to resolve such circumstances. The FIFA incident is a sharp contrast from Japan’s international image as a forward, economically powerful country. Japan is the world’s third largest economy in terms of nominal GDP, third largest automobile manufacturer, and largest electronic goods industry. It is known as a leading nation in technology and innovation. Its distinct culture and society also drew in 28.69 million tourists in 2017, according to JTB Tourism. Japanese popular culture such as Japanese cinema, manga, anime, music, fashion, and video games has shaped Japan’s image abroad as a distinct nation and tourist-favorite scenic destination. Yet, despite all of its economic glory, Japan still struggles with gender equality; it is ranked 114th in gender equality based on the Global Gender Gap Report published by the World Economic Forum in 2017. The report measures gender equality based on the “relative gaps between women and men across four key areas: health, education, economy and politics.” Japan is ranked last out of the G7, the group of seven major economies. Out of the four key areas, Japan is ranked first in health, 74th in education, 114th in economic participation and opportunity, and 123rd in political empowerment. Japan’s main reason for a low score is due to large gender gaps in terms of income and job promotions, as well as low proportions of women in politics, such as female lawmakers, politicians, and Cabinet members. Despite Prime Minister Shinzo Abe’s efforts to introduce female-centric economic policies dubbed “Womenomics,” Japan’s ranking in gender equality is still extremely low compared to other developed economies. Japan attempts to improve gender equality by creating policies that bring more women into the workforce, citing that a higher female labor force participation will bring economic growth. Prime Minister Abe pushed “The Act on Promotion of Women’s Participation and Advancement in the Workplace” in April 2016 as part of his economic policy reform. And in that aspect, it was successful in bringing more women to the workforce, from 67.8% in 2012 to 72.7% in 2016, according to the Gender Equality Bureau. However, while more women are in the workforce, there are still a lack of women in executive, management, and senior positions in companies and the government. Only 3.7% of Japanese company executives are women, and only two of Abe’s Cabinet of twenty are women. According to BBC News, Only 10% of lawmakers in the House of Representatives are women. Japan cannot simply achieve better gender equality by stating that more women in the workforce help improves the economy. Gender equality should be achieved for the sole goal of improving the lives of both women and men in society. What Japan needs is to recognize that the problem lies within the daily lives of Japanese men and women and start to eliminate microaggressions and condemning sexist behavior, such as victim blaming. As a developed nation with the world’s third largest economy, Japan needs to recognize that its lack of gender equality in every aspect of the daily lives of Japanese people poses a risk to not only the economy, but also the well being of Japanese society. Calculating the costs of tuition for any prospective university student can be daunting. Regardless of the university, researching tuition costs as well as methods of paying can be tricky. Web sites can be outdated, varying costs based on department, common words-of-mouth guesses can all change your projected payment for tuition drastically. In Japan, tuition can vary based on the type of school and department. Many schools and as well as the government offer scholarships that can drive down the costs of university tuition. The tuition can be paid initially by an overseas bank account, but schools often request additional papers so it can be automatically deducted from a Japanese bank account later on. 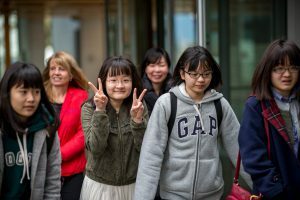 This article only covers the direct tuition fees paid to the school, and will not cover living costs or any additional fees students will need to pay as a university student in Japan. The 37 Japanese universities part of the Top Global University Initiative is a mix between national and private universities, as well as two prefectural universities. Under Japanese law, national universities have the same tuition, regardless of international or domestic program. The tuition itself per year is fixed at 585,800 yen (around 5348 US dollars). There is a separate admission fee in the first year, which is also fixed at 282,000 yen (around 2575 US dollars). Alongside tuition, there are other separate fees such as facility fees, equipment fees, and other maintenance fees that are also paid annually based on major and department. Therefore, the total fee is at least 817,800 yen (around 7466 US dollars). Tuition is paid by semester and is split evenly so each payment is a one-time payment of 267,900 yen. Typically, science and medical students have higher total tuition due to equipment fees for laboratories and experiments. Private universities vary on tuition fees. Typically, private university tuition is more expensive than national or public university tuition, but not by several fold (which is often seen in American public and private universities.) Most private universities have relative similar tuition fees, which is around 1.2 million yen to 2 million yen in total annually, based on university and department. 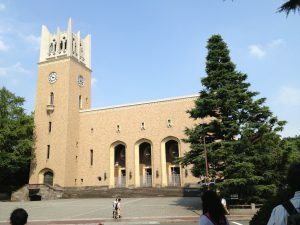 The admission fees at most private universities are fixed at 200,000 yen, but tuition (without equipment or any miscellaneous fees) per semester depends on the school. Some schools have different tuition fees per semester, unlike national universities, which split the annual tuition fee by half each semester. There are several types of scholarships that can drive down the cost of tuition. There are six different types of scholarships available to international students at varying degrees, application processes, and amounts. Based on the type of scholarship, the scholarship can cover all the way to full tuition. Scholarships are transferred to the student’s bank account directly, instead of a deduction from the school tuition. Scholarships can also not only cover tuition, but also various expenses relating to the student’s education. Each scholarship has its own set of regulations and restrictions. First, there is the MEXT (Ministry of Education, Culture, Sports, and Technology) Scholarship. Undergraduate, graduate, and exchange students can apply for this scholarship. The application form must be completed before matriculation to the university, and the amount received by each student varies on the university. The length of this scholarship can range from one year to all years the student is at the university. Students can apply through the Japanese embassy or related consulate, or through the host university itself to receive this scholarship. This scholarship comes in the form of a monthly stipend, and in accordance to MEXT regulations, it also waives examination, application, and admission fees as well as travel accommodations from the student’s host country to Japan once a year. The JASSO (Japan Student Services Organization) also offers scholarships to international students through the host university before matriculation under the name of “Monbukagakusho Honors Scholarship for Privately-Financed International Students.” Similarly, undergraduate, graduate, and exchange students can apply for this scholarship. 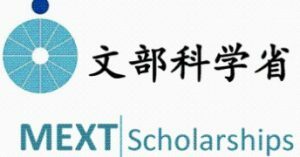 Unlike MEXT, this scholarship is for private-financed international students, so this scholarship is not affiliated with the government. The fixed monthly stipend for this scholarship is 48,000 yen per month and lasts 1 academic year. There are a variety of local government and associations that provide scholarships to international students. Most of these scholarships are available for undergraduate and graduate students, as well as junior college and technical colleges. The application process varies on the local government and association. For example, students must study in the designated area to receive the scholarship associated with the prefectural or city government. Typically, the scholarship last around a year and the stipend can range from 10,000 to 80,000 yen per month. Private foundations also offer a wide range of scholarships to international students, often based on country. Most of the scholarships are only for undergraduate and graduate students only and have stricter regulations compared the local governmental scholarships. Some restrictions include age, country, school, fields of study, along with additional requirements. Compared to local governmental scholarships, the monthly stipend is on average, higher, at an estimated 100,000 yen per month. Lastly, there are scholarships to encourage students who live abroad to study in Japan. Both public and private entities offer scholarships to sponsor international students to Japan, mostly for undergraduate and graduate students. Similarly, there is a myriad of regulations that accompany these scholarships, such as age, country, school, fields of study, citizenship, and others. These scholarships also offer around 100,000 yen per month, and in some cases, travelling expenses to and from Japan. Tuition can be paid through online bank transfers, credit card, or even in cash to the university. Most students pay through online bank transfer from either overseas or domestically using a Japanese bank account. It is possible to arrange automatic bank transfer for Japanese banks so the tuition is directly deducted from the account when tuition is due. The amount and date of the tuition deduction vary from university, but often universities send reminders through both mail and email to remind students when tuition will be deducted from their bank account if the student chooses to use the automatic payment system. In conclusion, paying tuition may seem tricky but there are many ways to access more information through scholarship and university websites. Most international programs have their scholarship and tuition fee information available in English, as well as more details regarding methods of payment. Once entering, many universities provide further support to international students in terms of scholarships and financial aid. All the right tools for organizing your tuition plan is accessible through the internet or even phone. Hello and welcome to my small nook. Thank you for stumbling upon this small space in which I pen my thoughts, narratives, and opinions about identity, culture, and experiences. This blog will mainly be about my personal thoughts about my own identity as a third culture kid (TCK), although I am not sure if I can fully call myself as a TCK because I grew up in two places: my host culture and my parent’s culture and I’m still doing more growing up in a completely foreign culture (Japan). This blog is also a place where I can write about my own experiences regarding work in recruiting, event management services, and the Japanese startup scene, along with my experiences as an international student in Tokyo. I started this blog not only to showcase the work I do for clients/other publications but also to write any other blogs/narratives with a more personal touch. The reason why I named this blog, “A City By The Bay” is because I’ve lived in three different places but they were all by the sea: San Francisco (to be exact, a suburb in the Bay Area), Hsinchu (an industrial city off the coast of Taiwan Strait), and Tokyo. I love going to the beach and just sitting besides the seaside, either watching the waves or smelling the sea air. Of course, I love seafood! I always joke that I can’t live in anywhere that isn’t near the sea because I’ve been spoiled by the abundance of seafood from both sides of the Pacific Ocean. 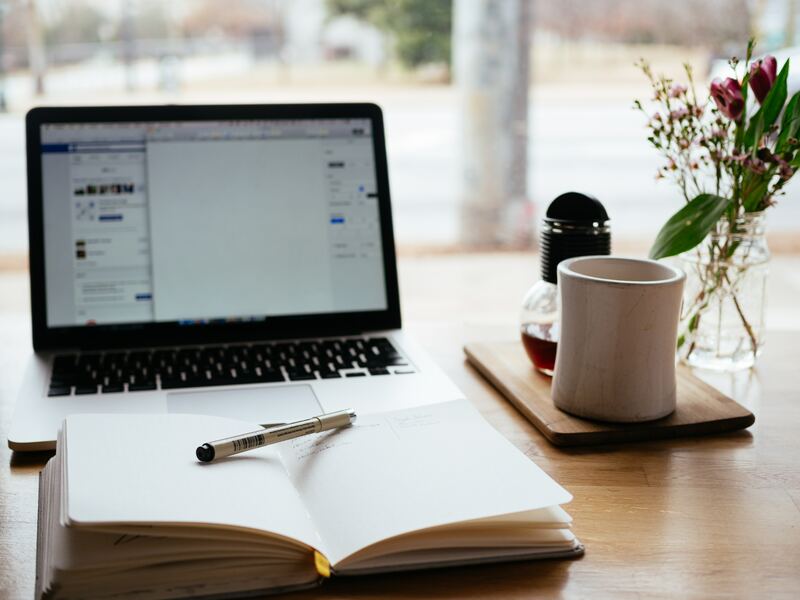 I started blogging or writing blogs because I wanted to further develop my writing skills; my academia doesn’t include many papers and I want to further strengthen my writing. In high school, I used to write a lot and I also attempted to write a novel (I might go back if I want to). I love reading, baking, playing piano, and volunteering. I currently write for a food publication, Spoon University, so most of the articles about food recommendations, recipes, or food experiences will be on my university’s chapter, Waseda Spoon. My favorite food is ice cream; I have a sweet tooth. I’m an avid baker and I love trying out new recipes and sharing my creations with my friends, family, and co-workers. I love both coffee and tea, and I’m in love with chocolate and wine (often both). My favorite genre currently is history; nonfiction or fiction. I love reading oral histories or narratives from people from a specific place or period of time; war stories and slave stories are my favorite. I’m currently reading an analysis about Africa after decolonization and the struggles African governments face. After I finish, I might write a review. I’ve played piano for roughly 15 years but I decided not to pursue it professionally after high school. However, I am teaching piano to an elementary school student right now. I am part of Hands on Tokyo Youth Impact Team, meaning I’m part of a team of college students that helps with Hands on Tokyo’s volunteering projects or related NPO projects. I currently teach English at a children’s home and I’m also helping create a food truck for disabled individuals with LIVES Tokyo. I’m currently studying political science and economics. I’m very interested in international relations as well as environmental policy/security. I almost majored in environmental policy, but I’ll explain later perhaps in another post why I chose to come to Japan instead. I am currently working in a recruiting and consulting agency, and I previously worked in a startup that dealt with rental housing. I’m also in an organization that creates events for international students to meet with companies in Tokyo, so I’ll also write about my experiences regarding event management and hosting. I also do freelance writing on the side, and hope to further develop my skills. Thank you for visiting my page and this blog will mainly focus on a few niches: narratives about identity and studying/working in Japan. This blog will reflect my personal views and I don’t speak for any other individuals. All my photos are mine, or sourced from Flickr or other platforms with the creative commons license. Please contact me for collaborations, freelance work, or any questions. Have a nice day!